This week I was invited to do a guest post at Simply Statistics, the popular blog site run by three of my colleagues in Biostatistics. I wrote about the crisis in R01 funding, the most important source of funding for most biomedical scientists in the U.S. See the post here. Quacks never give up. In their never-ending quest to make money from bogus treatments, they try all kinds of strategies to convince people that what they're selling really, really works, despite the evidence to the contrary. One strategy is creating a legal licensing system. If the government licenses your profession, it must be legitimate, right? Legislators wouldn't approve a licensing system for nonsense, would they? Of course not! So it's strange that the Maryland legislature is considering a bill in its upcoming session to allow naturopaths to practice medicine in the state of Maryland. Some of you might be wondering, what the heck is a naturopath? As Peter Lipson explained recently in his Forbes column, naturopaths are little more than fake doctors, whose practices are a modern-day version of folk medicine. When naturopaths got licensed in Minnesota, PZ Myers suggested they be called "witch doctors." Too harsh? Well, one thing is clear: naturopaths are trying to get licensed in multiple states (Lipson described their efforts in Michigan) as a route towards legitimacy. There's an easy way to become legitimate: practice science-based medicine. This would be awfully difficult for naturopaths, whose practices include homeopathy, colloidal silver treatments, and chelation therapy, to name but a few. that high blood pressure and coronary heart disease should be treated with unproven herbs and chelation therapy ." The numbers refer to citations that Dr. Atwood provides for each of his points. "A license authorizes a licensee to ... administer or perform hot or cold hydrotherapy, naturopathic physical therapy, electromagnetic energy, colon hydrotherapy ... for the purpose of providing basic therapeutic care." "One technique is to lower your body temperature, with a cold bath for example, as much as possible without inducing shivering as soon as possible after a stroke has occurred, or is suspected to have occured.... Another hydrotherapy technique with a similar rationale is to soak the feet in a hot foot bath, as soon as possible after the stroke has occurred, while applying a cold compress to the neck, face and scalp. If this technique can be applied as a stroke is happening, it may even abort the stroke." Again, quoting Dr. Atwood: "All strokes are potentially life-threatening, and are considered to be medical emergencies that require prompt and expert evaluation and supportive care. The treatments described above will do nothing to improve the outcomes of strokes, but are certain to delay competent diagnosis and treatment. "It is unethical to engage in or to aid and abet in treatment which has no scientific basis and is dangerous, is calculated to deceive the patient by giving false hope, or which may cause the patient to delay in seeking proper care." By adding a naturopath to the Maryland State Board of Physicians, and by requiring them to license naturopaths to practice medicine, the legislature is forcing physicians to act unethically. 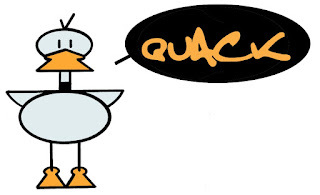 So if you live in Maryland, take a few minutes and write to your state representative telling him or her not to support this quack bill. Heck, contact them even if you don't live in Maryland, and tell them you were thinking of moving but now you want to move to Virginia instead. M.D. Anderson Cancer Center in Texas is usually considered one of the country's top cancer centers, but that hasn't stopped it from promoting bad science. In Friday's Huffington Post, Dr. Lorenzo Cohen, Director of MD Anderson's Integrative Medicine program, writes that it is "time for acupuncture to become part of standard care" for cancer. He claims that acupuncture is "an appropriate treatment alongside conventional care for chemotherapy-induced nausea/vomiting." As evidence, Dr. Cohen cites a newly published review article. There are many problems with Cohen's arguments. Let's start with what he fails to tell us. First, he states that he is reporting on the results of "a recent systematic review conducted by researchers in the Integrative Medicine Program at the MD Anderson Cancer center." He conveniently neglects to say that he is the senior author of that review! He should have made it clear that he's writing about his own report. Unless his readers look up the original article, they may not realize that he is is merely promoting his own work, in a highly biased way. He also fails to point out that his article doesn't provide any new evidence itself; it only reviews other, earlier studies. Second, Cohen tells us that his group found 41 studies evaluating the use of acupuncture for treating the symptoms of cancer therapy. (To be precise, he writes that "41 studies were found," still disguising the fact that he's the one who found them.) He neglects to mention that out of 41 studies, all but one were highly biased, by his own review's judgment (and therefore scientifically worthless). Rather than concluding that "it's time for acupuncture to become part of standard care," Cohen should be lamenting the fact that nearly all studies of acupuncture are badly done. Third, Cohen does mention that his review article considered 8 symptoms of cancer treatment: pain, nausea, hot flashes, fatigue, dry mouth, constipation, anxiety, and sleep disturbance, but he doesn't explain that the only study out of 41 that wasn't excessively biased (according to his own criteria) looked at nausea. Thus Cohen should have told us that acupuncture is not effective for any of these other conditions. At best, if he insists on putting a positive spin on it, he should have explained that the evidence is insufficient to recommend acupuncture for any of these symptoms. Let's look at that one positive study, published in 2000 by Joannie Shen and colleagues. It's a small study, with about 33 patients in each of 3 groups, where the treatment group got electroacupuncture, which means an electric current is run through the needles. This isn't the same as traditional acupuncture, and the study didn't compare identical groups with and without the electrical stimulation. So we can't know whether the electrical current was the real reason the treatment showed a benefit. The study also failed (and this is a huge problem) to "blind" either the patients or those providing treatment: obviously the patients knew they were getting electroacupuncture. Despite this, Cohen claimed in his review article that the 12-year-old study had a low risk of bias for blinding. The patients that received electrical stimulation plus acupuncture had fewer episodes of vomiting. This suggests that something in the treatment - maybe the acupuncture, maybe the electricity - somehow reduced this particular symptom. Or maybe not: the study had a possibly serious flaw in the assignment of patients to groups: in the electroacupuncture group, only 51% had vomited during previous chemotherapy sessions, significantly fewer than in the other two groups. Despite the methodological flaws, if acupuncture works, surely that 12-year-old study would be replicated by now, yes? Well, no. Cohen neglects to mention a much more recent study on acupuncture for nausea, published just last year, which his own reviewed graded as unbiased for 5 out of 6 criteria, including blinding. That study was negative: acupuncture was no better than sham acupuncture. When a small, problematic study fails to replicate, good scientists conclude that the treatment simply doesn't work. Cohen, though, ignores this larger (twice as many patients), better-done study in his HuffPo piece. So based on one mediocre study from 12 years ago, involving only a small number of patients, for only one condition, Cohen is calling for acupuncture to become standard treatment for all cancer patients. Could this be because he is currently running his own clinical trial on acupuncture for the treatment of cancer patients? Could he be biased by the $777,886 he is currently receiving from NIH to study acupuncture? "A block in the meridians can deny the muscles and surrounding tissues of Qi, creating an imbalance of health. 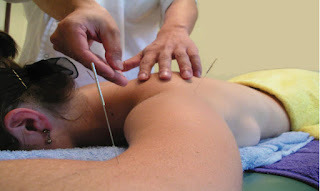 However, the flow of Qi can be restored by inserting needles at specific acupuncture points." This pseudoscientific babble does not belong in one the nation's best cancer centers. What's worse is that MD Anderson is offering ineffective treatments to cancer patients - a highly vulnerable population - accompanied by claims that they should know are false. This is inexcusable. MD Anderson's many outstanding scientists surely know that acupuncture is wildly implausible, and many of them (although not Dr. Cohen) must know that it has repeatedly failed to stand up to scientific scrutiny. US News ranks MD Anderson as the country's top cancer hospital, followed by Memorial Sloan-Kettering and Johns Hopkins Hospital. After reading Dr. Cohen's article, and looking at MD Anderson's promotion of unproven pseudoscientific treatments, I would argue that MD Anderson should be dropped many, many notches down in those rankings.